Our Better Grab Positioning Lanyards are impressive and durable. 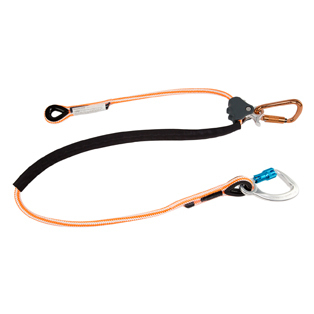 We offer a tower positioning lanyard made of Pelican Rope’s polyester Static Kernmantle over a nylon core. We also offer an Arborist positioning lanyard made of Pelican Rope’s 16-Strand polyester over a nylon core. Both lanyards include: Our ProClimb® Better Grab-rope grab, ½” diameter rope (Static Kernmantle or 16-Strand), two nylon tear drop thimbles (swaged in each end), Chafe Master protective abrasion sleeve and a variety of end options to choose from. The many end options open up possibilities to accommodate your many needs.